The $63.5 billion offer on the table for U.S. seed giant Monsanto was already the biggest takeover bid this year. 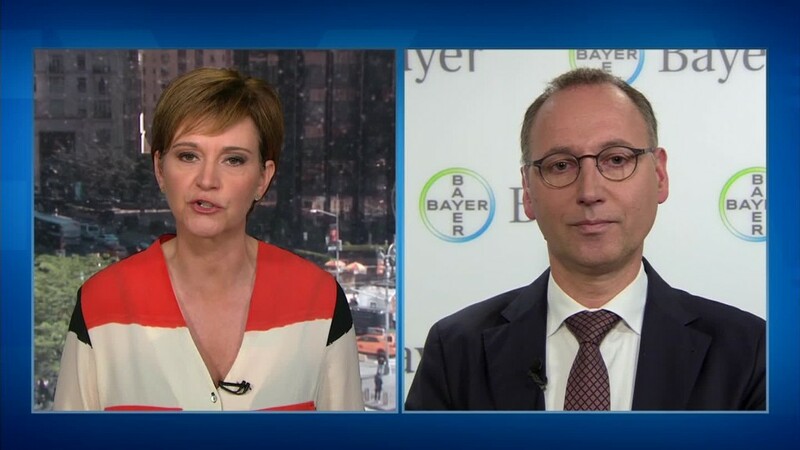 But in an effort to clinch a deal, Germany's Bayer says it's ready to go even bigger. Bayer (BAYRY) said Tuesday it's prepared to pay $65 billion in cash to create a huge conglomerate spanning pharmaceuticals, health products and pesticides. Monsanto (MON) shot down Bayer's two previous offers, but now the companies are in advanced talks, the German firm said. It's not the only one interested, though, according to Monsanto. The U.S. company said its weighing Bayer's sweetened offer along with "proposals from other parties and other strategic alternatives." Bayer is now offering $127.50 per share, up from previous bids of $122 and $125. Monsanto shares in New York closed Friday at $107.44, suggesting investors were cautious about the prospects of a successful deal. The latest offer values Monsanto's equity at about $56 billion. Including debt, the deal would be worth $65 billion. If the two companies can reach an agreement, it would be the latest mega-merger struck in the agribusiness and chemical sectors. Last year, Dow and DuPont combined to form a new industrial giant worth $130 billion. In February of this year, ChemChina agreed to pay $43 billion for Syngenta (SYENF), a company that Monsanto had previously tried to buy. The ChemChina-Syngenta deal is currently the biggest announced worldwide so far this year. Bayer, which is strongest in Asia and Europe, stands to gain from Monsanto's expertise in agriculture and seeds. It would also benefit from Monsanto's regional strength in North America. Bayer has said the combining the companies -- which would need regulatory approval -- would generate synergies of $1.5 billion over three years. -- Charles Riley and Rob McClean contributed to this report.